Sunday morning activities for preschoolers include an engaging Sunday School lesson and fun extended session activities during morning worship. 9:15 AM • B Bldg. 10:30 AM • B Bldg. 5 – 6:15 PM • B Bldg. A snack supper is served; look for the posted menu each week. Please notify our nursery staff if your child has food allergies. Ones and Twos enjoy a time of music, a Bible story, and a craft. The focus for these little ones is learning how much Jesus loves them and cares for them. Playtime focuses on learning to play with others. 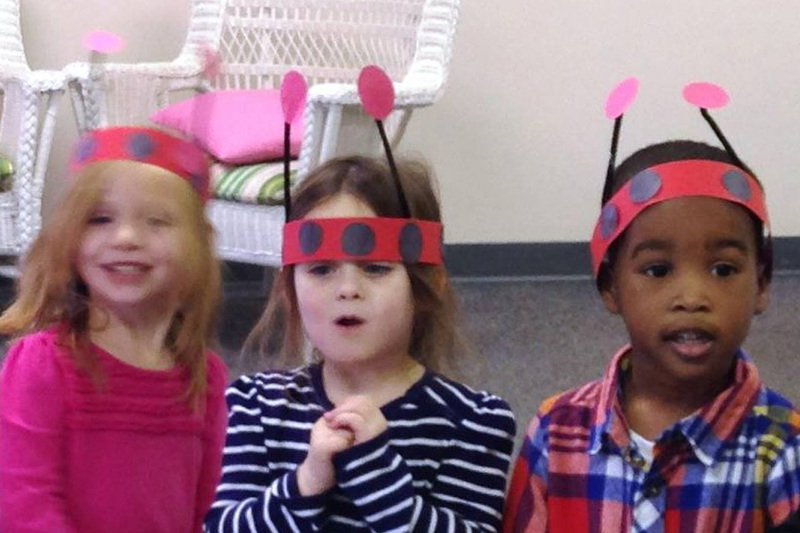 Preschoolers aged 3-5 learn about North American and International missions. They learn about countries where missionaries are serving, the work that missionaries do, and how to pray for missionaries. AWANA is a Bible-based club for children ages 3 through 6th grade that meets during the school year. During club time children learn scripture, play exciting games, hear devotions and lessons from God’s Word, and learn about missions. The goal of AWANA clubs is to teach boys and girls the Gospel of Christ and train them to serve Him. Come each week and join the fun! Our Super Tots meet in the first floor of the B Bldg. Cubbies meet in the first floor of the B Bldg. Sparks (Kindergarten – 2nd Grade) meet in the Family Life Center. First Kids is a preschool and mother’s morning out ministry of First Baptist Church of Centerville and is a member of the Association of Christian Schools International (ACSI). The program’s goal is to provide a safe, nurturing environment for your children where they can learn how much they are loved by God..
For further information, or to schedule a tour, please feel free to contact our director, Kristie Sokinas. Preschool Ministry is a great place to serve! 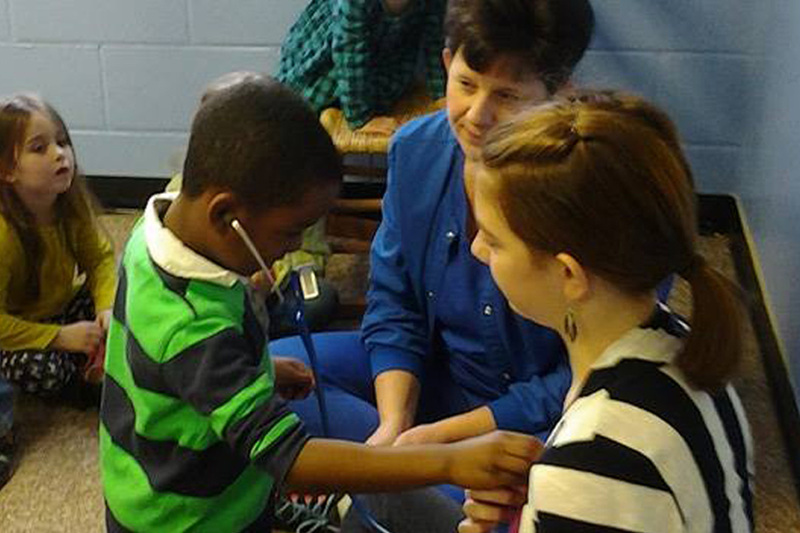 If you are interested in serving in our preschool ministry, please contact our Church Office. Our church is a member of Ministry Safe Abuse Prevention Systems. This organization provides resources and tools that allow preschool, children, and student ministries to effectively screen workers and develop procedures that will keep our young people safe from any form of abuse. We are working to make our preschool building an allergy friendly facility for children with food and other allergies. Please help us by notifying our nursery staff about any allergies your child might have.